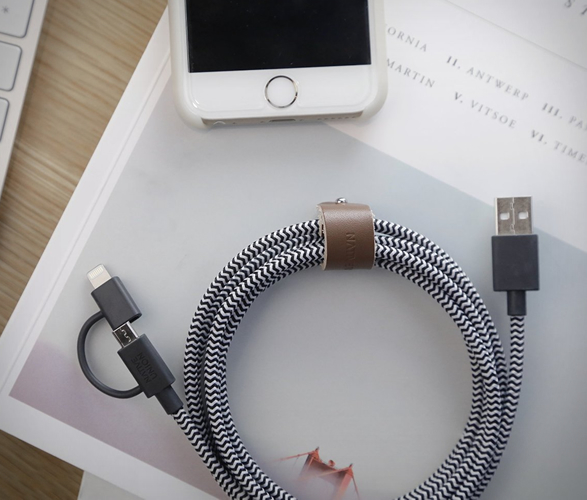 The Belt Twin Head Cable is another genius solution by Native Union, one cable for all your devices, perfect for traveling. 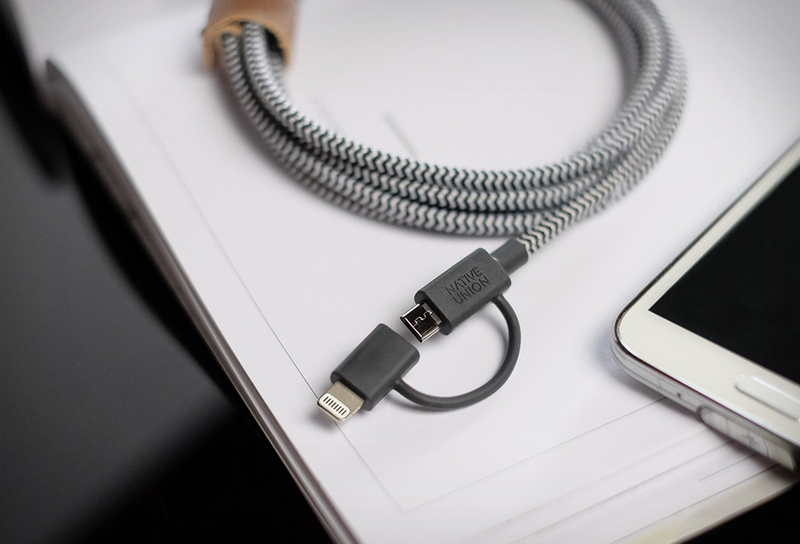 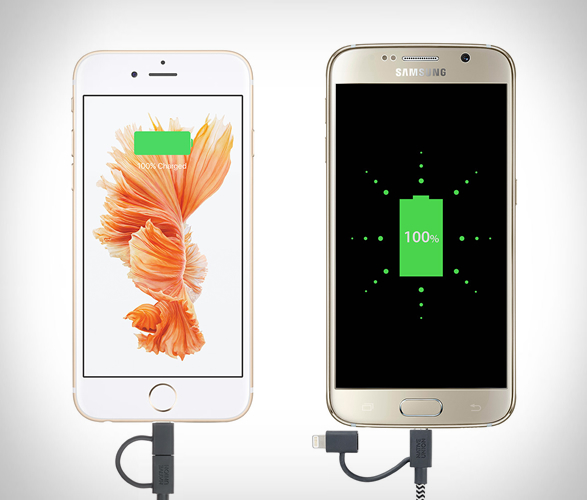 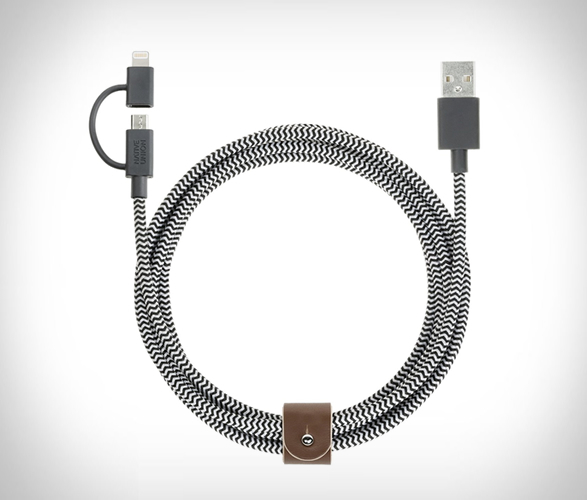 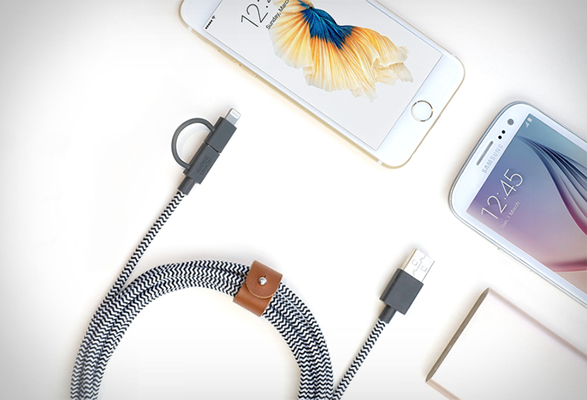 Forget about multiple cables to charge different devices, this durable braided, tangle-free 6.5ft charging cable features an integrated 2-in-1 Adaptor for all Apple Lightning and Micro-USB Devices. 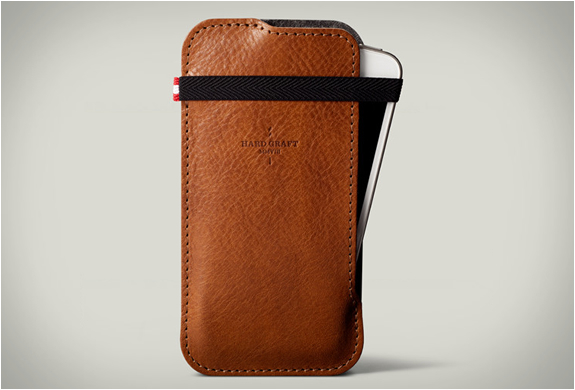 It comes with an elegant leather belt to wrap up neatly.